Wild Lettuce - What Should I Know About It? Wild lettuce is a natural remedy sourced from the Lactuca virosa plant. Extracts of the plant's sap, seeds, and leaves are typically used in wild lettuce products. Touted as a natural treatment for a wide range of health problems, wild lettuce is said to lower stress and relieve pain. Certain compounds found in wild lettuce appear to have pain-relieving and sedative effects, according to preliminary research conducted on animals. For example, a study published in the Journal of Ethnopharmacology in 2006 found that lactucin and lactucopicrin (chemicals naturally present in wild lettuce) reduced pain and promoted sedation when given to mice. 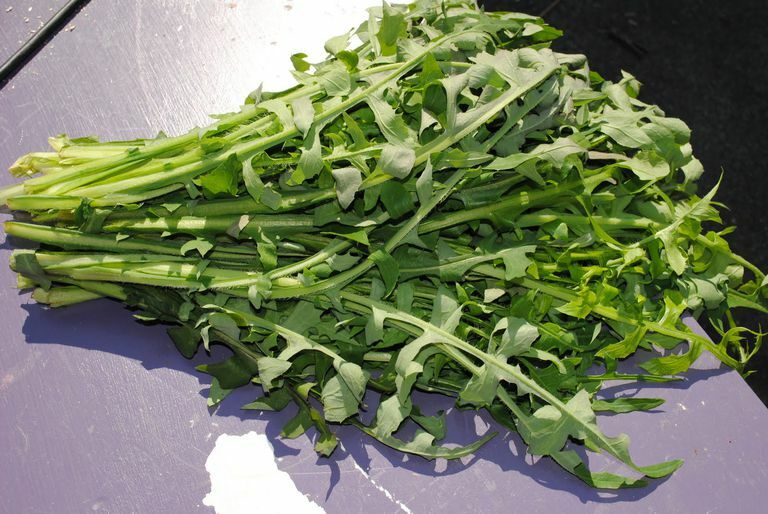 There's currently a lack of studies testing wild lettuce for its effects on human health. What's more, animal-based research on wild lettuce is also very limited. Wild lettuce also is used to stimulate circulation. And, when applied directly to the skin, oil extracted from the seeds of wild lettuce is thought to offer sanitizing benefits. In addition, some individuals consume wild lettuce recreationally for its potentially mind-altering effects. Supposedly similar in action to opium (and used as an opium alternative by physicians in the 19th century), wild lettuce is said to possess sedative and hypnotic properties. Because wild lettuce and its health effects have been tested in very few scientific studies, the safety of long-term or regular use of wild lettuce products (such as dietary supplements) is unknown. However, there's some concern that wild lettuce may trigger a number of side effects, including accelerated heart rate, difficulty breathing, dizziness, and extreme drowsiness. And, in some cases, applying wild lettuce to the skin may lead to skin irritation. Additionally, people with benign prostatic hyperplasia or narrow-angle glaucoma should avoid use of wild lettuce. It's thought that the use of wild lettuce may aggravate these conditions. Because wild lettuce may alter the function of the central nervous system, it also should be avoided for at least two weeks prior to undergoing surgery. Moreover, wild lettuce should not be used in combination with medications that affect the central nervous system (such as sedative medications like clonazepam and lorazepam). Many natural remedies may help reduce pain and aid in the management of chronic pain-causing conditions. For instance, several herbs have been found to curb inflammation and, in turn, help lessen pain. These herbs include white willow bark (shown to soothe the joint pain associated with osteoarthritis, as well as tame back pain) and devil's claw (found to reduce pain caused by rheumatoid arthritis). If you're looking for a natural therapy that can help alleviate stress, a number of mind-body techniques (such as meditation, yoga, and progressive muscle relaxation) may be beneficial. Additionally, certain herbs (including Rhodiola, ashwaghanda, and Panax ginseng) show promise for shielding your body from the negative effects of stress. Dietary supplements containing wild lettuce are sold in many natural-foods stores and stores specializing in natural products. You also can purchase wild lettuce products online. Due to the limited research, it's too soon to recommend wild lettuce for any condition. It's also important to note that self-treating a condition and avoiding or delaying standard care may have serious consequences. If you're considering using wild lettuce, make sure to consult your physician first. Besharat S, Besharat M, Jabbari A. " Wild Lettuce (Lactuca virosa) Toxicity." BMJ Case Rep. 2009;2009. Trojanowska A. "Lettuce, Lactuca Sp., as a Medicinal Plant in Polish Publications of the 19th Century." Kwart Hist Nauki Tech. 2005;50(3-4):123-34. Wesołowska A, Nikiforuk A, Michalska K, Kisiel W, Chojnacka-Wójcik E. "Analgesic and Sedative Activities of Lactucin and Some Lactucin-Like Guaianolides in Mice." J Ethnopharmacol. 2006 Sep 19;107(2):254-8. Could This Be Better Than Fish Oil?